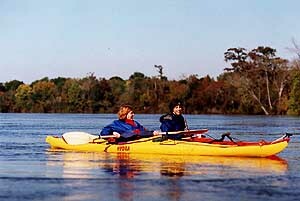 Experience sea kayaking adventures with Altamaha Coastal Tours in one of the most beautiful and remote areas in the South East. Located near St. Simon's Island and 45 minutes South of Savannah, the Altamaha River BioReserve is a world of wilderness and natural wonder. Bottle Nosed dolphins, manatee, otters, alligators, deer, mink, eagles, osprey, and thousands of sea-birds make this area a best kept secret. Trips range from kayaking through black-water swamps of cypress knees and giant old growth forests to camping on deserted islands with white-sand beaches. Come explore for a half day excursion or get away for a multi-day adventure in what has been called a "The World's Last Great Places ". 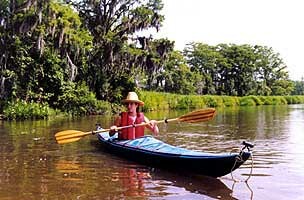 Kayak rentals and Guided tours are offered year round on the semi tropical Georgia Coast. Explore River, Swamp, Marsh & Estuary. 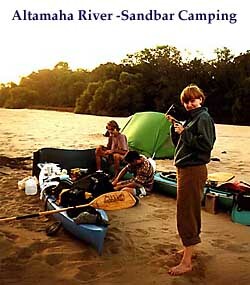 Includes canoe, sit-in Kayak, sit-on-top kayak, tandem or solo canoe and shuttle. 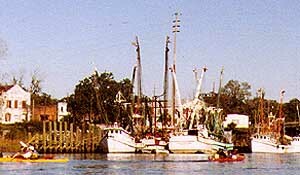 Guided Bike Tour $40 except for Harris Neck and Blackbeard Island. Contact us, to set up your custom trip today! 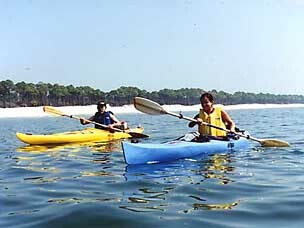 Year Round Sea Kayak and Canoe trips are arranged with regard to Tides, Winds and Temperatures. Vast tracts of land, barrier marsh islands and swamps are protected by the federal and state gov'ts as well as the Nature Conservancy, corporate and private citizens. 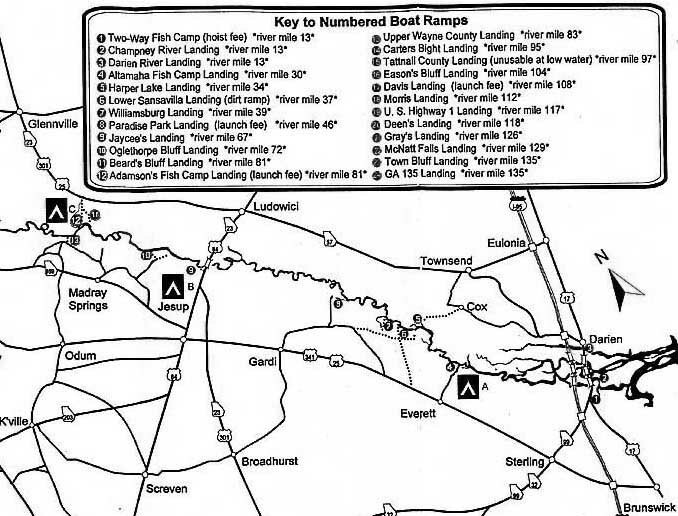 These combined areas are referred to by the Nature Conservancy as the Altamaha River Bio reserve. Another important link to the area's health is the Altamaha River Keepers. A site of historical interest is the new site to the William Bartram Trail through the Southeast United States in the Mid 1700's. 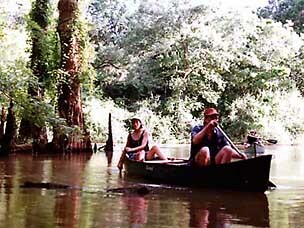 His travels through Georgia are a document describing in depth the Altamaha River and it's plants and animals before the settling of European settlers. a unique freshwater tidal swamp with virgin old growth giant cypress trees. to the brackish then to salt marsh environment in an easy half-day paddle. but require either permits or permissions from property owners. and the top predator - the American Alligator. and marsh day trips or camping trip are available as guided and self-guided . a vast marsh island looking out onto the Atlantic Ocean. End of the journey at Darien's historic waterfront docks. is located 100 miles from Atlanta and 20 miles NE of Athens, Ga.